Living by the sea, a wish for a family size boat have always been present. However the use of a boat will probably not be a lifestyle for us. So we opted for a relatively low cost Norwegian build Andy 21 DC. 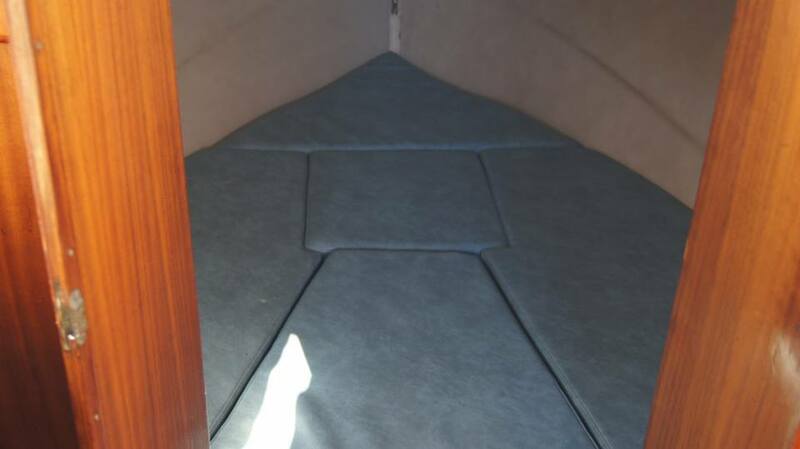 The boat have almost space for 5 to sleep, and space enough so we are all able to move without fear of capsizing. The Andy DayCruiser is a semi-displacement boat which was designed in the late seveties. 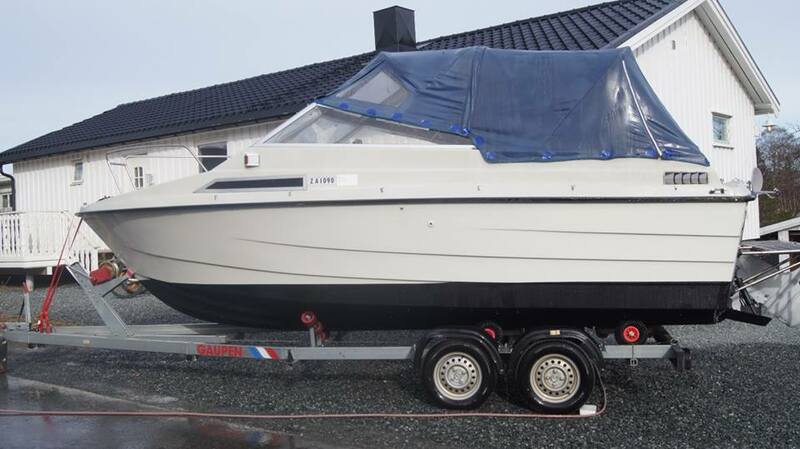 The boats were delivered as partly complete boats from Anders Lilleng ("Andy boat") at Ulsrud Oppsal in Oslo. 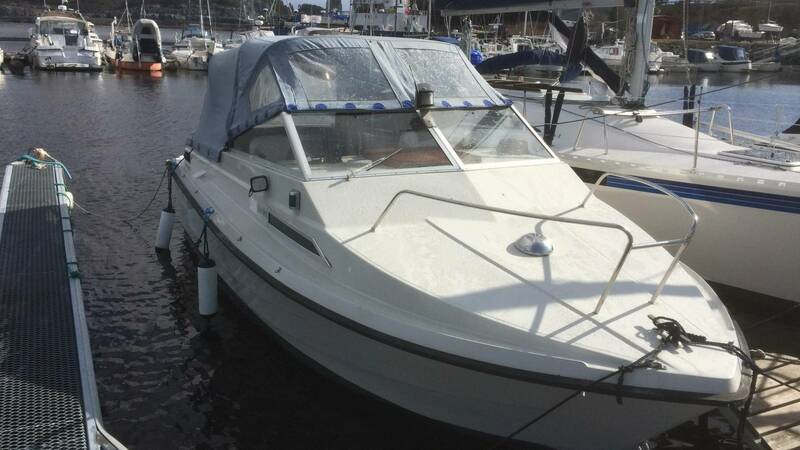 The boats were basically an empty shell, where the buyer did furnish as they wished. If the buyer had little experience in boat building this could often lead to quite heavy boats. There is also information about the boats being built around Årnes at some point. The boat is 20.5 feet long, and the size 20 or 21 is used for them all. Maybe the 21 feet long have a bathing platform at the rear which makes the name valid. 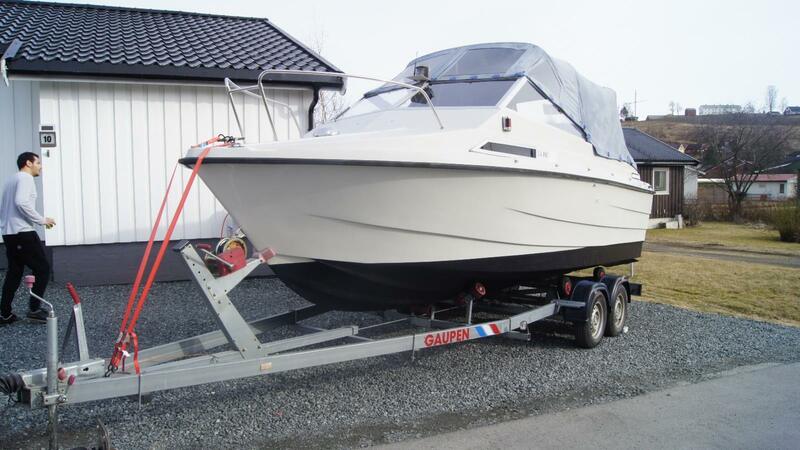 There are quite a few Andy DayCruisers around in Norway, with all from a Volvo Penta 130HK to over 200HK. The boat is a semi-displacement boat, so the size of the engine does matter for which speed one can expect to get. I guess a speed of 18knots for the 130HK and perhaps 32knots for the 200HK can be expected. Andy boats were built from 1978 to the mid 1990s. 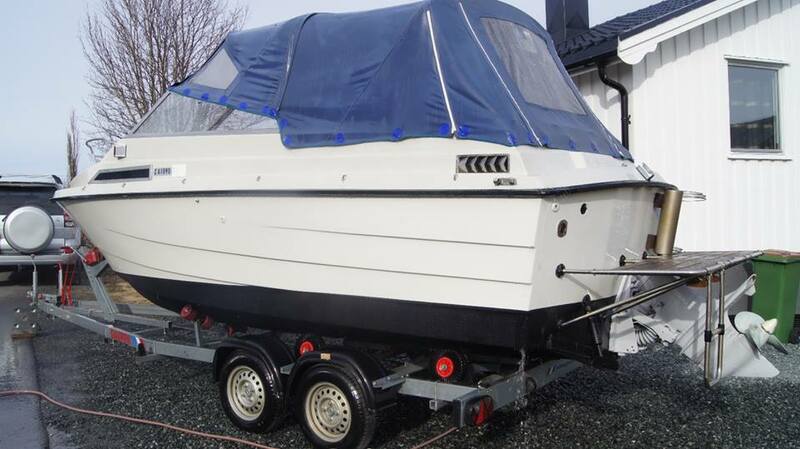 Our boat was in reasonably good nick for its age, and came with a price which made it appear as a good choice. I will not say it was not, but it were in need of a considerably amount of service. We have rebuilt the carbs, replaced tubes, engine bay ventilator and numerous other small items. In the beginning we struggled with the boat stopping after a while of full power. There were two basic ideas why this happened which were investigated. One could be that the saltwater cooling channels in the engine were rusted to much so it overheats, or that the engine didnt get enough petrol. After adding a daytank, bypassing the old tank and filter setup the problem was found to be petrol supply problems. When all was sorted, the boat ended up to be quite a pleasant relationship. When we did buy the boat, one earlier owner had glued wood-alike pvc flooring on the sides in the day deck. This was probably not very stylish when new, but now quite a few years later it was not at all. So it had to go. And when it was removed, the day deck flooring was deemed not to be very nice either, so it needed to be replaced. And then all the furniture needed to get out, so it made sense to restore that as well. And with new furniture, the chairs an pillows looked old. You get the picture? 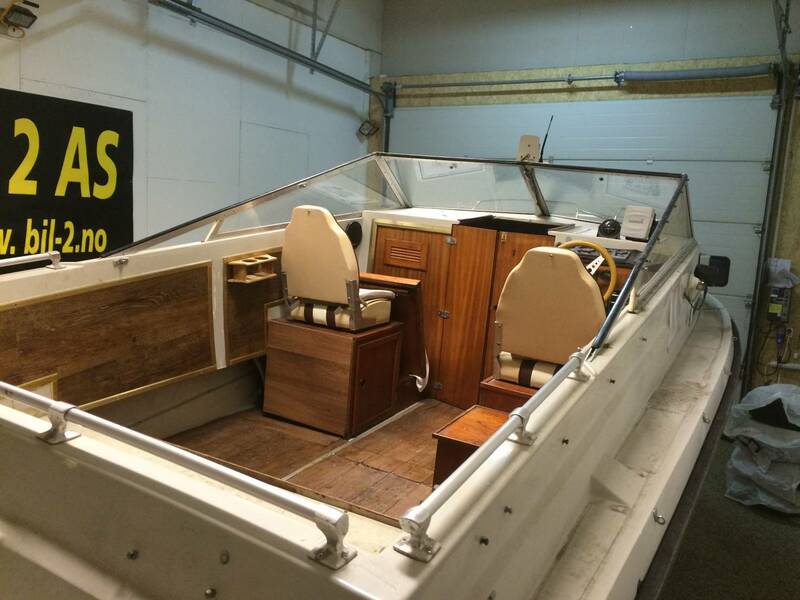 we went head on into a full renovation before we even did put the keel into the water! Before we knew it, almost anything inside the boat was replaced or refurbished. The work was quite pleasant, and we spent most of the spring 2016 doing it. The result was a better looking modernized boat which we hope to enjoy a lot for the coming summers. This is how the furniture did look on the day deck when we bought the boat. It is beginning to show signs of age both in wear, color and design. With new flooring, modern chairs and restored cockpit, we think it is improved a lot. Due to the value of the boat, our choices were set not to be to expensive. 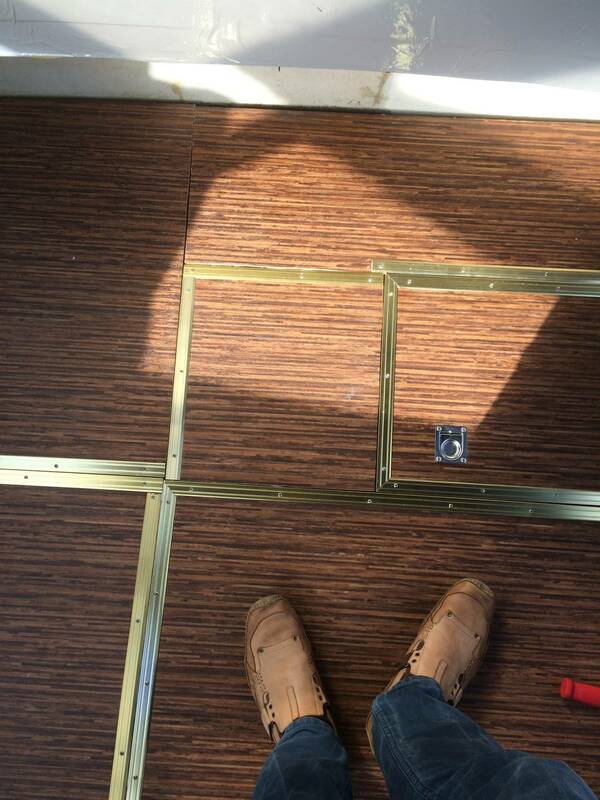 The PVC flooring is sourced locally, and with brass colored aluminium mouldings, the floor did get very nice. Note the gray sides compared to vinyl glued to the walls on the before picture above. We covered the walls in vinyl decor film as are used on car decor. It is quite cheap, covers small dents and imperfections and is very durable. And perhaps the best of all, we can just pull it of when we feel for replacing it. The powerplant is a Volvo Penta AQ130 which is an improved and marinized version of the Volvo B20 car engine used in their 140 series. 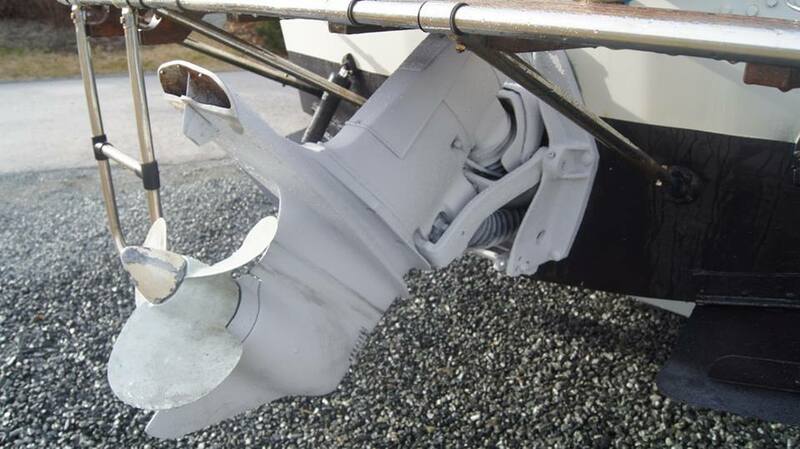 This feeds power to a Volvo Penta 270 Sterndrive. Pretty basic stuff! Click on the video above to see and hear more of the motor. The AQ130/Volvo B20 are known to be a bit of gas-guzzler, and I will not argue to much against that. 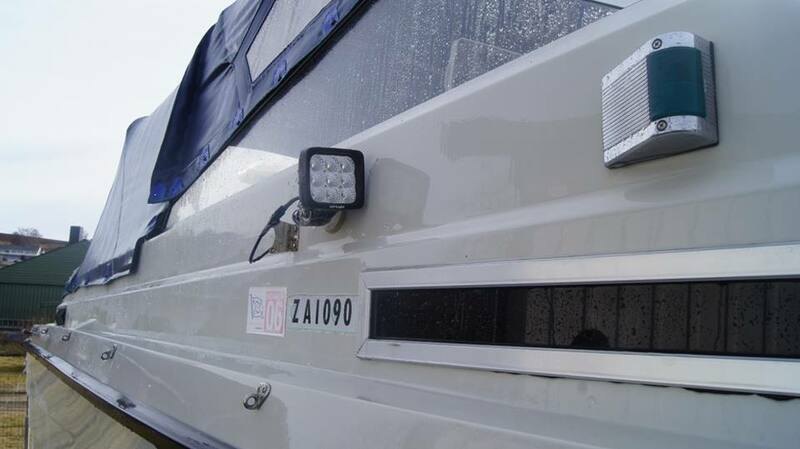 Ours happily use 20-25 liters per hour if we cruise at max speed. But this is rather old technology, and for this it is both heavy on the fuel, and simple and cheap to repair. You can get a refurbished motor as this one, for the same as you have to pay for replacing the dieselpump on modern Volvo Pentas. So all in all we are quite happy with the motor, we understand it has a limited lifespan due to its salt water cooling system. But in the other hand, it is very easy to work with and to repair for a non professional as me. And also, if we get a total engine failure, getting a new one dont mean we have to mortgage the house for it. SPEED = $$$, size combined with speed = $$$$$$. The rule of thumb for an old tech petrol motor is about 0.3 litres per hk per hour, summing up to 39 litres on max throttle for the AQ130. On the Andy with its 1600 kilo, at cruise 18-20 knots (3500-3800) rpm it will use between 15-20 litres. Having a more modern petrol engine will only reduce the petrol consumption by 1/3rd. 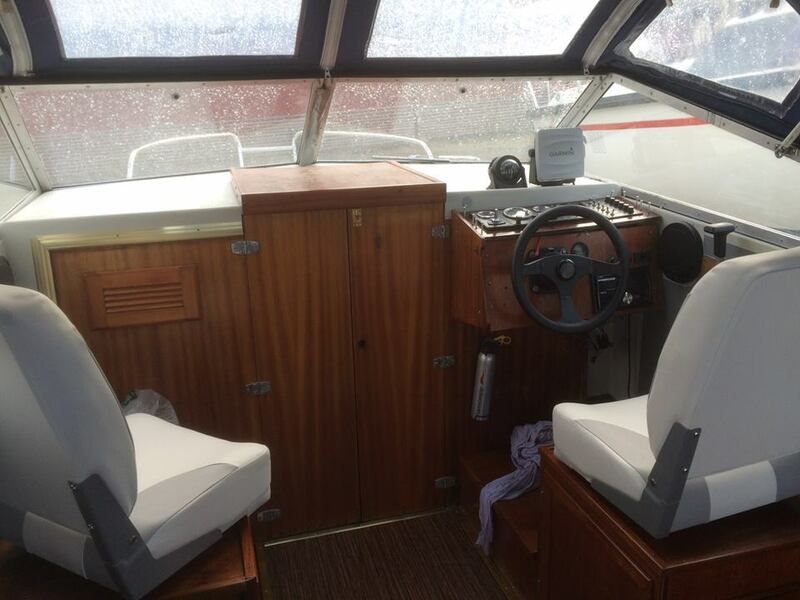 For our use with the few hours we use the boat it will not be economical to change the engine for a diesel or more modern petrol, since the motorswap will be way more expensive than the extra fuel used for many years. Calculating using the joule value, it is necessary to spend 35 liter petrol to create 100 hk, and 22 liters of diesel for the same. And even if the fuel usage is 30% higher for old tech motors, an engine swap at $10000 will mean many years of recreational use before it will be economical feasible. Below is a small gallery with pictures of our boat, click on each one to get a bigger one.